If you’re new to cruising you might be panicking a bit about all those different currencies you’re going to need, especially if you’re embarking on a longer cruise adventure. The more stop offs your cruise ship is making the more complicated currency becomes, so do you need to get currency for every port your ship stops in? Do you need cash or will a credit card be okay? What currency do you need for spending onboard the ship? Should you purchase all your currency before you embark? If these are the questions that are keeping you up at night, then you’ve come to right place. 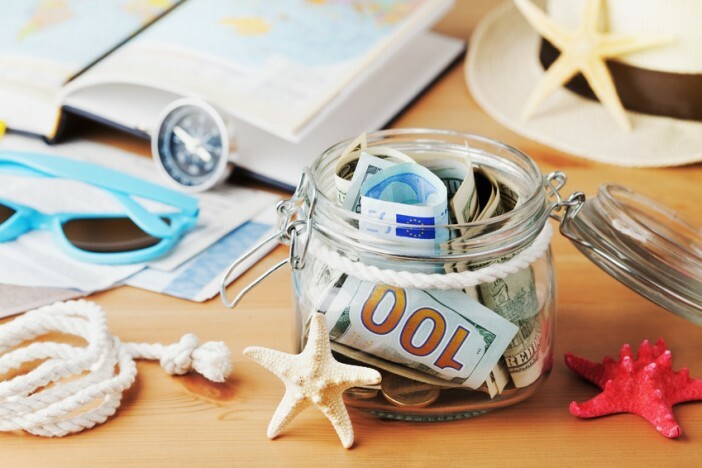 Read on for everything you need to know about currency for cruise holidays, from what to take to where to buy it from. Whilst many cruises include the food, accommodation, and basic beverages in the price of your cruise, few are truly all inclusive. Premium liquors, some activities and excursions, and other optional extras will all need to be purchased separately once you’re onboard the ship. Onboard payment methods vary between ships, from which currency is accepted to what the most common method of payment is. To make it all a bit simpler, we’ve checked out the onboard protocol for a few of the major cruise lines so you don’t have to. Any extras you use onboard the ship are charged to your room and then the total amount is settled at the end of your trip, sort of like a tab. US dollars are the most commonly used currency, so the prices will be listed in that format. The only exception is some Australian based cruises, where the onboard currency will be Australian rather than US dollars. All your onboard transactions should be paid in US dollars with Cunard Line and they will be added to your onboard account to be settled at the end of the cruise. If you wish to, you can convert the charges into UK sterling, although doing so will incur an additional 3% charge. Additionally, most major credit cards are accepted onboard. Australian dollars are used onboard P&O Cruises’ ships and all additional purchases are charged to your onboard account, to be settled at the end of your holiday. The Royal Caribbean cashless system is operated via the SeaPass card, which allows you to pay for additional items and services while you’re onboard. ATMs are also available on Royal Caribbean ships, dispensing US dollars, although be aware that these will often charge you a significant withdrawal fee. US dollars are accepted on Celebrity Cruises, although you can also use the cashless SeaPass card to pay for things onboard. Whilst you can’t pay cash in any currency other than dollars, using the SeaPass card will ensure that you are charged in your home currency. NCL has a variety of payment options, although you will find that most prices are listed in US dollars. You can pay in cash US dollars if you have them, but major credit cards and onboard charge cards are also accepted. Cash machines are also available on all ships except the Pride of America. Anything you purchase onboard a Carnival Cruise ship is charged to your Sign & Sail cruise card in US dollars. Both US dollars and Euros are available from the onboard ATMs, as most ports of call have Euros as the preferred currency. The currency used onboard MSC Cruises ships depends where you are sailing. Euros are used for cruises through the Mediterranean, Canary Islands, Northern Europe, Antilles and southbound transatlantic cruises that leave from Europe. US Dollars are used on cruises through the Caribbean, South America, South Africa and transatlantic cruises that will end in Europe. Disney operates a system where additional purchases onboard the cruise ship are all charged to your room and then settled at the end of the trip. Price lists and all transactions are in US dollars. If you are planning on going on any excursions during your cruise, it is best to invest in at least some of the local currency in cash. Even though most places will accept credit card, it’s good to have a bit of cash in the local currency for taxis, tips, and souvenirs. Although you can often get money converted on the cruise ship, you will almost always get a better rate if you buy currency before you set sail. In ports that are regularly visited by cruise ships, you may find that some vendors accept US dollars, although it is best not to rely on this. Now that you know all about currency on cruise holidays, why not book yourself one with Cruise1st ? Browse the full collection of itineraries online or call our friendly sales team on 1300 857 345.